Do you need to reline your chimney? Doing it yourself has never been easier! This handy kit gives you everything you will need, all in one place. The set includes a chimney liner, 13" x13" collar plate with band connection, rain cap for collar plate, tee with a 10 inch removable take-off and band connection, and a tee cover. 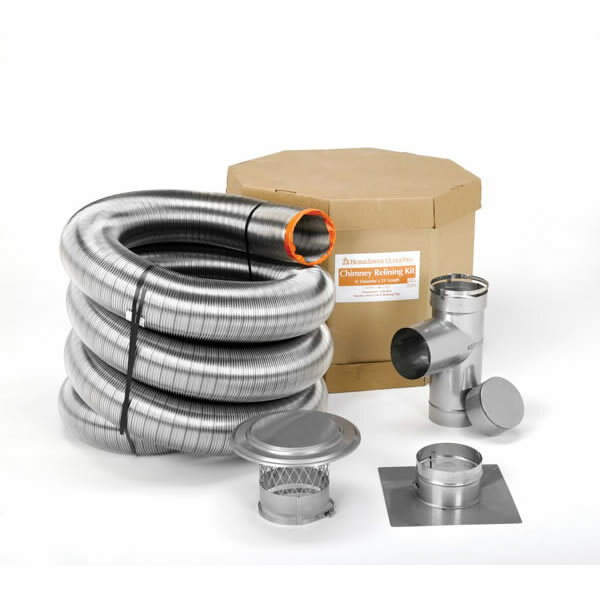 This 25 foot relining kit features a chimney liner that is two to three times stronger than other .005" liners.